Announcement Welcome to Etsy's most unique wall decal shop! 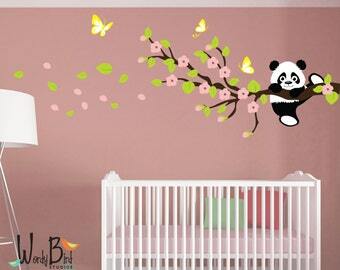 Wordy Bird Studios specializes in professional quality hand made wall decals for all of your decorating projects. We now offer both cut wall decals and printed wall decals including premium fabric reusable wall decals. http://eepurl.com/cUq3Zz and we will send you an instant coupon code you can use today. Please be sure to checkout our FAQs below. Some paints or surfaces are not compatible with any type of decal. Refunds are not given due to paint or surface incompatibility. Free test decals are available to try first so you can know for sure. Packages entering the UK are charged a 20% VAT tax plus an additional fee of £11.25. Orders over the allowed import limit would also be subject to import taxes. These fees are not included in my price or the shipping cost, they are fees assessed by your customs office and they are collected on your end to be remitted to your government. Because of these high fees, I have had numerous complaints and packages refused from the UK. I have no control over these fees, nor can I remit the fees on behalf of the customer. I have therefore made the decision to discontinue shipping to the UK. If you are in the UK and you would like to order anyway, please contact me and I will set up a custom listing for you with the understanding that returns for non-payment of import fees will not be refunded. 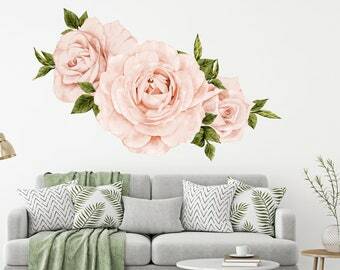 Welcome to Etsy's most unique wall decal shop! 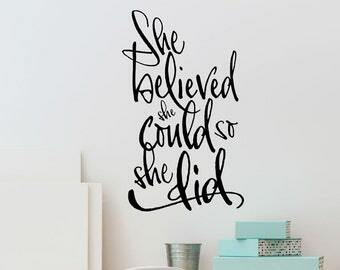 Wordy Bird Studios specializes in professional quality hand made wall decals for all of your decorating projects. 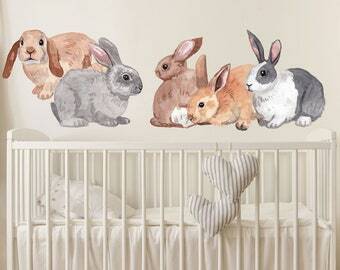 We now offer both cut wall decals and printed wall decals including premium fabric reusable wall decals. It's perfect! We did the choose your own color option and they look great. The decal was super easy to install. 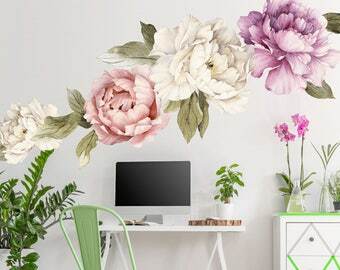 I just put my peonies on my office wall and I love it! Application could not have been easier. My walls are slightly textured and there are no issues. I’ve moved a few around and there’s no problem with adhesion. The colors are beautiful and vivid and the material is high quality. I’d highly recommend this product and this seller. Just testing a new design and I thought I would give a little sneak peek. Probably have a new botanical design ready next weekish. Our latest typography design. Perfect inspirational piece for the office or studio. From computer to plotter then weeded by hand....each and every decal made to order. Hi All! I'm Wendi designer and creator of fun wall decals, nursery decal murals, kids wall decals, Halloween decals and quote wall decals. I have been doing graphic design for about 23 years now. I think I was born with a crayon and a hot glue gun in my hands, because I have always wanted to be making and creating something for as long as I can remember. It is when I am the happiest!!! I got interested in wall decals when doing some design work for a sign shop about few years ago. I love the way the vinyl decals can instantly and easily change your space and when you are ready for a change, they come right off and you can do something new. I opened my Etsy shop in 2010 and haven't look back since...Wordy Bird studios has grown and grown and I have long since moved out of the basement and into a cute little brick bungalow in Ogden Utah at the foothills of the majestic Wasatch Mountains. In November 2015 I added some exciting new equipment to the shop so now I can offer printed wall decals and fabric peel and stick reusable wall decals. This really opens up the possibilities of what I can offer. Peel and stick wall paper, custom labels in small runs, wall decals printed on clear vinyl for windows....just to name a few ideas. If you are looking for a great discount on your first order, you can sign up for our VIP list here with this link to receive a 20% off code you can use on your entire order today. Hey, Let’s be friends! Find me on social media! My amazing assistant who keeps all the orders organized, making sure everything is made and shipped on time...very often made and shipped early...'cause she is awesome like that. Q: Can I get this design made in another color? A: For cut vinyl decals, there are more than 80 designer colors in a beautiful matte paint like finish to choose from. Four metallic shimmer colors are also available. For Printed Fabric Decals we cannot change the colors unless noted in the listing. If a color change is available the option will appear in a drop-down menu choice on the listing. Colors may not show true to life on different monitors and view devices. Contact us for a free swatch before ordering if you need to match a color exactly. Q: Does the Paint type make a difference? A: Yes! 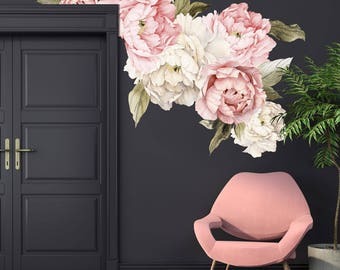 There are some new fancy schmacy paints out on the market that claim they are dirt resistant or stain resistant…fantastic if you have little sticky fingers living with you, but not so much for wall decals…these paints contain silicone and nothing will stick to it. 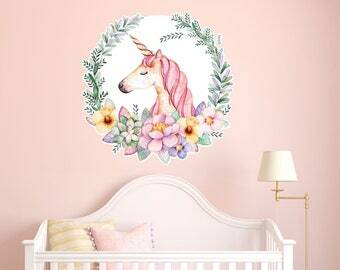 If you have this kind of paint, consider applying your decal to a painted board or canvas, creating a great wall hanging instead…added bonus, you can move it. 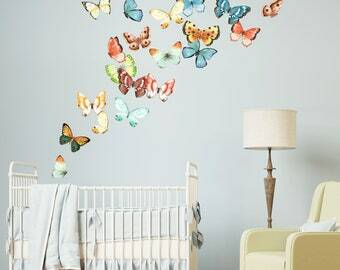 Some VOC free paints have also been known to cause adhesive failure in wall decals, but this seems to be hit and miss. If you are unsure of your type of paint, contact us for a free test decal to try before you buy. We cannot give refunds due to incompatible paint or surface issues. Q: Are wall decals removable? Q: Will wall decals damage my paint? A: The adhesive used for these decals is specially formulated to be removed from paint without damage or leaving a residue. However, we cannot anticipate every situation. For best results, do not apply on old peeling paint, lead paint or any area where there may be moisture, mold or damage under the paint. Paint must be allowed to fully dry and cure for at least 3 weeks before applying a decal. Paint takes several weeks to fully harden…during this curing time, invisible gasses and moisture are released from the paint. If decals are applied too soon after new painting, this moisture will become trapped behind the decal. The decal adhesive could fail and also possibly damage to the paint causing it to peel or become discolored. Q: Are wall decals Easy to Apply? 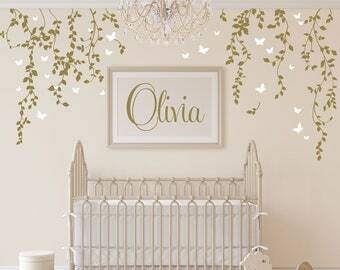 A: Each wall decal comes with easy to follow instructions and a link to an application video. Larger more detailed design will naturally take longer and you may need a helper. Do not hesitate to contact me with any questions about application. Q: Are Wall decals Only for Walls? A: No way! Why limit yourself…as long as you have a surface that is smooth, flat and clean, you will be able to apply your wall sticker. Furniture, mirrors, doors, glass and wood…the possibilities are only limited by your imagination. Q: Will decals stick to textured walls? A: If you have a light texture, the decals may work with a little extra patience when applying. If you haven’t use a wall decal before and you are unsure about your surface, contact us for a free test decal to try before you buy. We make all of my decals to order, so there is generally a 3-5 business day turn around time for this. Shipping is on Tuesday - Thursday. I ship via USPS First Class Mail within the US, US Territories and Military addresses. Shipping upgrades for faster shipping methods are available at checkout. Please note that a shipping upgrade does NOT include expedited production. If you need something faster, contact me. I am happy to accommodate you if I can...during the busier times of the year, an expedited production fee of $25 will be added to rush orders. I typically answer emails first thing in the mornings and then through out the day as time allows between fulfilling orders.. All email questions sent from Thursday after 3pm through the weekend will be answered on Monday morning....so please don't worry if you don't hear back from me right away. During the Holiday Rush season, we do often work on orders during the weekends to make sure all orders meet our 3-5 business day turn around time frame. Q: Do you have any promotions or discounts right now? I very rarely do sales or offer coupon codes to the public, but you can sign up for our Exclusive VIP list to receive information about new products and VIP only sales and discounts. Sign up here with this link and you will receive a coupon code for 20% off your entire order that you can use today.